Bring carrots to a boil in stock, then reduce to simmer for 10 minutes. 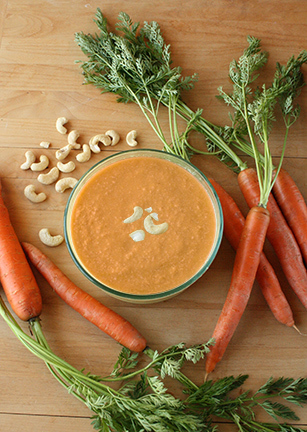 Add cashews and the rest of ingredients and simmer for about 5 minutes more or until carrots are tender. Use a blender to puree the soup until completely creamy.